We are engaged in manufacturing and supplying excellent quality Aluminium Composite Panel for the customers. Our Aluminium Composite Panel is made as per high standards of the industry. We use the best aluminum and have proficient experts for designing and developing our Aluminium Composite Panels. 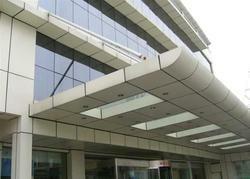 We provide Aluminium Composite Panel at competitive prices.